His mustache was so razor-sharp he used it to shave off his sideburns. His mullet alone qualified him to be a ranchera singer. 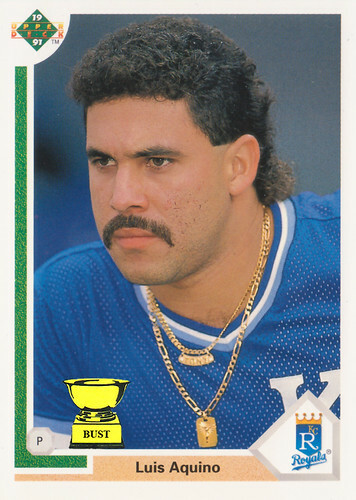 In this photo, he was staring down Mr. T in a chain-intimidation attempt. He had as many holes in his cheek as he did in his jersey. He went on the 15-day disabled list with neck fatigue.